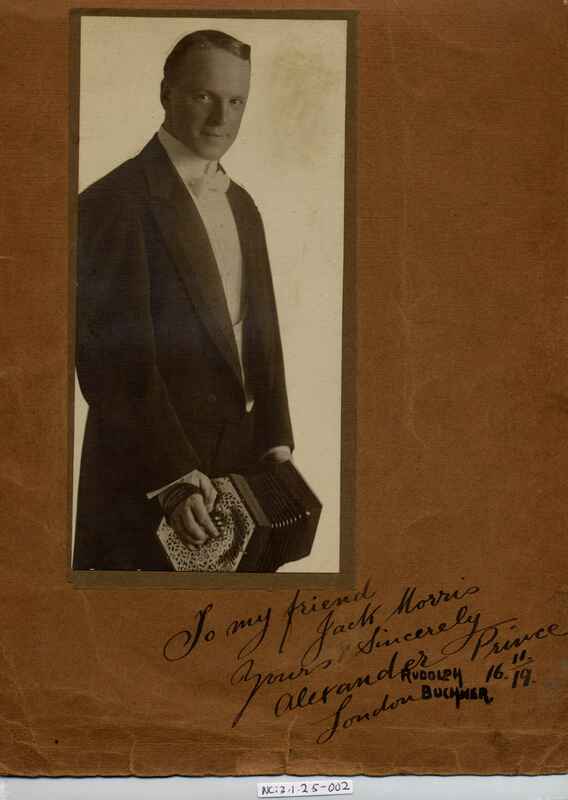 Full Description: An Australian photograph of Alexander Prince, signed "To my friend Jack Morris, yours sincerely Alexander Prince, London 16 - 11 - 19". 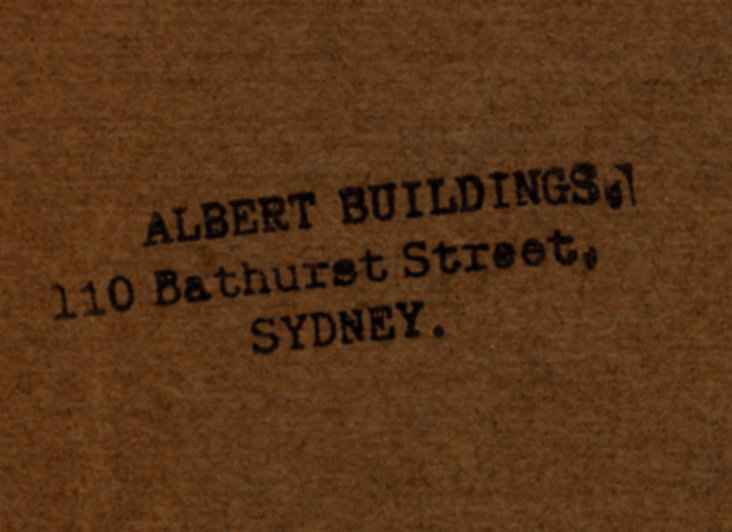 This professional print is also signed by Rudolph Buchner, an Australian photographer, and his address is to the rear - "Albert Buildings, 110 Bathurst Street, Sydney". It was CMC Item No C974. There is an archive of Buchner's photographs in the National Library of Australia.